Having a well-running engine is crucial for driving around Long Beach, Cerritos, and Newport Beach. That’s why it’s important to get regular oil changes, to extend the lifespan of an engine. So, when looking for an oil change near me, read this guide to see how we can help. Below, our team at Norm Reeves Honda Huntington Beach will go over the details of needing an oil change, including when and where to get one. Read all about it below, and contact our service department if you have any questions. The engine is the heart of the car, and the reason it runs in the first place. An engine is made up of many moving parts, all of which need to be properly lubricated to avoid an engine breakdown. That’s why it’s vital to have clean engine oil. It’ll keep the engines components greased, so they won’t grind against each other. Plus, oil keeps the engine cool, which in turn helps the vehicle last a long time. As engine oil keeps doing its job, it’ll begin to pick up dirt and sludge and turn black in color. Dirty oil won’t lubricate the moving parts as well, which could lead to serious issues, like needing an engine replacement. A great way to know when you need an oil change is to check your owners manual. However, a good rule of thumb is getting one every 3,000 to 7,500 miles, depending on your typical driving conditions. For example, if you often drive on dusty, muddy, or sandy roads, then you’ll probably need an oil change every 3,000 miles. If you need an oil change, just take your vehicle to our state-of-the-art service center. There, you’ll find a team of certified technicians who have years of experience working on all types of cars. As a result, they know what type of oil is right for your automobile. They’ll also only use high-quality oil to get your car running like new in no time. Along with expert service, we offer various service specials. These rotate regularly and often include discounts on oil and filter changes. Schedule an Oil Change near Me! 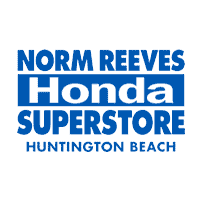 If you have any questions or need an oil change, contact us at Norm Reeves Honda Huntington Beach. For service, you can either give us a call or schedule an appointment online. Supply us with info about your car, and well confirm a day and time that work for you. Our team loves serving drivers throughout Long Beach, Cerritos, and Newport Beach with regular oil changes, and we want to do the same for you. So, don’t wait. Schedule an oil change today!